Jewelry is valuable not only because of its beauty, but the special meaning behind it. Does it represent 30 years of marriage? Was it passed down from a great grandmother? Was it given to you to celebrate a special moment? Between its sentimental value, as well as financial value, our local insurance agency wants you to be fully protected. Anything can happen to your jewelry, whether it’s stolen, damaged or accidentally slips off your finger while swimming in the ocean. While memories of the jewelry itself cannot be replaced, a good insurance policy can provide financial protection to an unfortunate situation. If you own jewelry that’s valued over $1,000, consider getting an insurance policy endorsement to insure its value. 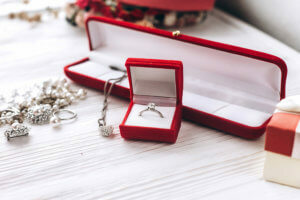 Like other valuables coverage, insurance for your jewelry can simply be added to your home or renters insurance policy on something called a “floater.” It’s a simple insurance policy extension. A good policy will cover everything from theft and damage. The cost of coverage varies, typically $1 – $2 per $100 in value for a yearly policy. So, for a $5,000 ring, you’d expect to pay $50-$100. By calling Insurance Brokers of Arizona, we will ensure we find the best coverage for your jewelry. We can also help answer any questions regarding ‘what if’ situations. Here are some questions to discuss with our agents so you fully understand your insurance coverage. If your jewelry is stolen, will you be reimbursed the full amount you paid? What happens if it was accidentally lost? If your jewelry has appreciated over the course of owning it, will your insurance company honor its new value or what you paid for it? What happens if you simply lost a small piece of your jewelry? Would you insurance cover the cost of replacing the stone? Don’t forget to ask for discounts! If you plan to safely store your jewelry when you are not wearing it, you could qualify for a discount from some insurance companies. While we hope you never have to experience an insurance claim for your jewelry, it’s always important to be prepared. An appraisal – if you don’t have the original receipt, at least have an appraisal. Take photos of all of your jewelry and store them on the cloud or a zip drive that’s stored in your safe. Keep these items in a safety deposit box or safe in your home. If you’d like to know more about insuring your jewelry, contact an agent at our office. We’ll give you the best options for insuring your jewelry as well as answer any other questions you may have. 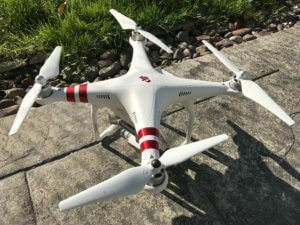 https://insurancebrokersofaz.com/wp-content/uploads/2017/11/drone.jpeg 1500 2000 Administrator https://insurancebrokersofaz.com/wp-content/uploads/2018/10/IBOAZ-Transparent-Logo.png Administrator2017-11-09 11:44:082017-11-09 11:44:08What Insurance Coverage Do I Need for My Drone or UAV? Owning a secondary home or vacation property can be a rewarding experience and allow you to build so many memories! 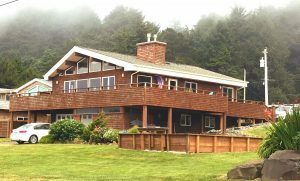 While owning a vacation home can have countless advantages, it does bring some unique responsibility and maintenance. Regardless of whether you’re buying a cabin just a few miles away on the lake or an oceanfront condo in Hawaii, you’ll use twice per year, you’ll want to make sure your property remains adequately protected. Renting the property adds an entirely new level of complexity to secondary home ownership and yet a better reason to review your coverages with your licensed insurance agent. Will you need a separate insurance policy for your vacation property liability? What liability limits are adequate for a home that is vacant more often than is occupied? If you’ll be renting the property, consider purchasing additional liability limits as well as an umbrella insurance policy to protect you. Is your vacation home in an area that is affected by natural disasters such as forest fires, hurricanes, floods or earthquakes? You may need a separate additional policy for these. Keep valuables out of your vacation home. Take them with you when you leave. Ask a neighbor to keep an eye out for any unusual activity at your home. Consider getting a video surveillance camera such as a Canary or Ring to alert you if someone enters your home. These do not require service contracts and alert you by phone. Keep your heater set to 60 to prevent any pipes from freezing. Turn off your water if you plan to leave for extended periods of time. This takes only a few seconds. Consider a management company if you want to rent the property. They will help keep an eye on things. Check for obvious liability concerns if you plan to rent the property such as rotten decking, trip hazards, or other deferred maintenance. We wish you years of memories and relaxation with your secondary home or vacation property. When you’re ready to insure your property, give us a call.